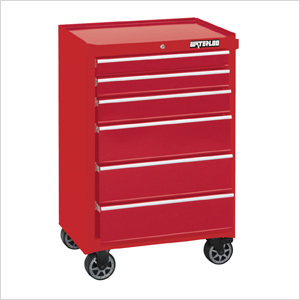 Here's a versatile tool cabinet - the Waterloo WCA-266RD 26" 6-Drawer Cabinet. 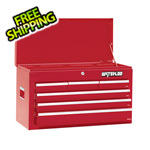 This heavy-duty tool storage cabinet is made entirely of steel and showcases incredibly resilient reinforced sidewall construction coated in a vibrant hot rod red. 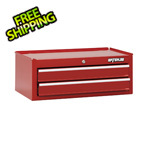 This cabinet comes with non-slip drawer lining so your tools stay put and upgraded casters for added mobility.